Following Jesus isn't easy. Jesus Himself said it would be hard. Christians don't expect nonbelievers to understand our faith. But what happens when it gets really personal-our own family? Chen Pei Fen understands this intense dilemma as she became a Christian against her parents' wishes and the cultural expectations in which she lives. In Keeping the Faith, she shares her own experience and offers scriptural encouragement for those times when you face struggles because of your faith. 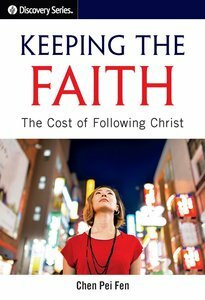 About "Keeping the Faith: The Cost of Following Christ"